Posted on December 31, 2013 . 46 Comments. Today, I want to talk to you about the way you carry your strength. If you are already strong, this will be an opportunity for introspection. 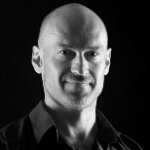 If you are on your way, here is your chance to “reverse engineer” the good manners of the strong, along with their lifting technique. Recently I read a book I enjoyed very much. Ronen Katz, SFG II, SFB, gave it to me. Ronen is a sixth dan in Kyokushin karate. He studied in Tokyo under Mas Oyama himself. At the karate legend’s dojo, Ronen made friends with another foreigner on the same quest, Nicholas Pettas. 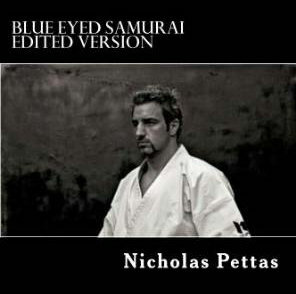 Nicholas would later become a world-class karate competitor and receive an unheard of compliment from the Japanese, who nicknamed him “Blue-Eyed Samurai.” That was the title of the book Ronen brought to me from Japan. A couple of months ago, Katz taught a seminar introducing StrongFirst training methods in Tokyo. Nicolas was one of the students and he was kind enough to sign a book for me. There is a Japanese proverb in Blue-Eyed Samurai: “The mightier the rice becomes, the more it bows its head.” The stronger one becomes, the more humility he shows. I have witnessed that the proverb is right on the money time and time again. One day, I brought an acquaintance to Muscle Beach Venice. A skinny middle-aged guy, Bob decided to get strong and asked me to teach him the deadlift and a few other lifts. It was Saturday and a powerlifting meet was in progress. The lifting platform was outside the weight pit, but the competitors warmed up inside. Bob wanted to turn around and leave, but I insisted that we go in. Bob could not believe his eyes or ears. And for the rest of his lesson, he was treated with utmost respect by the shaved head crew that had set up their warm-up station next to us, even getting called “sir” a few times. Really strong people have class. They never bully the weak. Who does then?—The less weak. Rob Lawrence, the master of one-liner, once quipped that the very strong and the very weak will never give you any trouble. It is the guys in the middle who have a chip on their shoulder. Beta males, frustrated with their inability to rise to the top and taking it out on the even weaker letters of the Greek alphabet. These betas are easy to recognize in gyms by their swagger and their baseball caps turned backward. Just a week ago, I witnessed one make a lot of noise quarter squatting 315—and then walk away and never come back. The unfortunate newbie in gym gloves who later came to the power rack to do his curls got stuck unloading the bar. Next week, he probably quit the gym for a health spa that promised “no gym intimidation” in its ads. If you are reading this blog, you are strong, or at least on your way to strong. Do not let it go to your head. Do not give the noble pursuit of strength a bad name by acting like a jack. Let your conduct inspire the weak to be strong. I love how it is the foundation for life, not just for exercise. Finally an article that puts “The way I carry my strength matters” into better context! Thank you, Pavel! Classic Pavel. Thank you again sir. Great article. Much needed for all who are strong in every way. I also shared with my 14 year old son who is a pretty strong & tough kid. Great lesson coming from someone other than dad! A young man with a turned baseball cap and raging (suspected injectible) hormones was shouting and grunted as he lifted at a local gym, deliberately intimidating other members. When it was politely suggested he settle down a little bit, he became abusive and threatening. A very strong, very experienced and very gentlemanly local school teacher set up right next to this young man and simply lifted DOUBLE the weight. Set for set, rep for rep. Until “baseball cap”, suitably embarrassed, left the gym, never to return. Rickson said this same exact thing. You just know who’s who. Pavel and the Strong First community – happy 2014! Thank you for promoting gentlemanly virtues (and lady like ones) – I think it is truly wonderful that you display these qualites for all to see. Integrity, both moral and physical is where it’s at. This reminder of what we live by no matter what our level of strength is worth repeating and worth re reading. Thanks for solidifying truths that go beyond the weight room. To a STRONG and HUMBLE 2014!!! I teach martial arts, including to children, and one point that seems hard for some of them to comprehend is that courtesy does not equal weakness. Thank you, ladies, and gents! Great article and oh so true regarding the betas in public gyms. I love the line ‘really strong people have class’ – these concepts should be taught at high schools. I broke out laughing when I read the words “beta males”. Hey, Pavel! Hope you have an awesome 2014! Thanks for sharing all of your knowledge through the years. I really like this entry and it is a good self “check.” Many wishes for a prosperous New Year! You’re an amazing man! I’m going into my 4th week of “hard style” kettle bell training after reading Simple and Sinister and I’ve got to say I haven’t felt this athletic in several years. Thank you, Pavel, for this gift of new found strength and power! Cheers and good luck in this new year sir. Thank you for your kind words, gentlemen! Pavel, I love your writings and your philosophy! I have always believed that the strong will rule the world, I only pray the the strong and the just are one in the same! A mentor of mine once gave me this explanation of humility… humility is a virtue that will constantly elude you, because the minute you think you have it, it is totally gone!!! Peace and health through strength! Please excuse the misspell in first post! This was my first read in 2014.!! Pavel, I love your writings and your philosophy! I have always believed that the strong will rule the world, I only pray the the strong and the just are one in the same! A mentor of mine once gave me this explanation of humility… humility is a virtue that will constantly illude you, because the minute you think you have it, it is totally gone!!! Great read Pavel! That, right there is why StrongFirst keeps getting stronger. The code, the people and the depth of knowledge! Great article with relevance in every gym and dojo. That is how I know you and your strong men and women. And that is how you taught me. Great!! Just awesome. This perfectly sums up StrongFirst and the people you’ve drawn toward it, Pavel. One of the reasons I’ve always followed you and your cadre of instructors so closely is that the group is not just made up of strong folks, but of humble, polite people as well. Truly one of the best qualities that sets SF apart from the rest. This should be plastered on every gym wall. Excellent post for the new year. This is a peculiar era of disembodied machismo. Thank you Pavel. Great article for a new year. I must say that in the November SFG1 in Perth, Australia I was moved when Master SFG Shaun Cairns gave an interpretation of the StrongFirst Code. Pavel, thank you! I feel highly honored to be part of this post. Timeless guidance, Pavel. Happy New Year to YOU! Excellent message Pavel thank you. This is a very fine article. Mr. Tsatsouline, in my opinion, you are the most knowledgeable person in S & C. You search and distill the methods and science from sources all over the world and from the past, identify the first principles of strength and endeavor to refine and teach these principles more and more clearly. You don’t criticize or mock other systems but simply say “this is what we do”. You practice what you preach with unfailing integrity. Happy (and very successful) New Year to you and StrongFirst. “The higher it grows, the lower it bows.” Resolution not only for new year. Thank you Pavel. i have gotten so much knowledge from you and the Strong First not only to be strong in muscle but in heart and brain. Thank you, Luko and Eric! 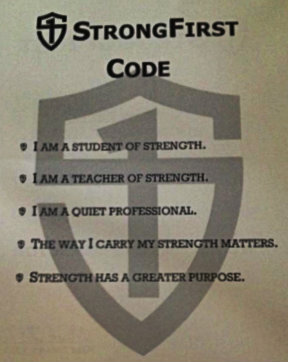 Thanks for this reminder that there is more to strength than a well muscled posterior chain. One of your best Pavel. I really enjoy your style of writting. It is a mix of science, art and philosophy in one solid package! Just Wow! Yourself and RKC’s, as well as the strongfirst people have taken much of an uneccessary beating for years. 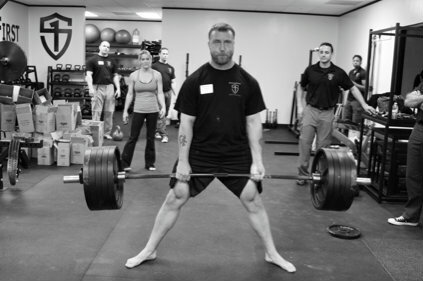 I am a former RKC, and the gym I trained at had some of the best power lifters in the nation. Not ONE,ever said one bad word about my goals. I’d swing a kb, they pull 700+. Only asked questions and let me do my thing. I always find that the stronger person understand the passion and dedication, no matter what modality is used. Marathon runners are not strong, but they perform a ridiculous feat nonetheless. Again, great concise advice Pavel.